Are you looking for a place to stay for your next Grand Lake getaway? 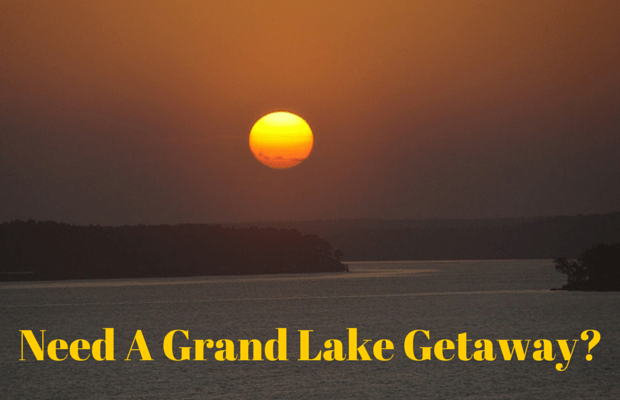 Luckily you can find all sorts of great lodging and resorts at Grand Lake. Grand Lake is home to many lakefront resorts as well as many off the beaten path places featuring cabins, camping and RV hookups. Plus Grove, the commercial hub of the Grand Lake area, has several traditional hotels for your stay in the Grand Lake area. Keep in mind – Grand Lake is pretty big (duh). So you want to make sure you find a place to stay in the area you want to be in so you don’t spend a bunch of your Grand Lake time driving all over the place just to get to where you want to go. To help you out, here are the details on some Featured Grand Lake Oklahoma resorts. And if you are wondering, yes, they have paid to be featured on this website. Water’s Edge RV Resort & Cabins features 80 ‘Big-Rig’ friendly waterfront, and non-waterfront sites for your Grand Lake getaway. Some sites even include your own private deck overlooking Grand Lake. All sites have full hook-ups with 20, 30 & 50 amp electrical service and include city water & sewer, cable TV hookups and wireless internet is available. Call today to reserve your spot and make plans to come to Oklahoma’s Grand Lake! With 1,035′ of Grand Lake Shoreline, Wildwood Cove Resort has something for everyone. Cabins, RV Sites, Clubhouse, Man-Woman Cave, Boat Dock & Ramp, Free Wifi, Free Fire Engine Rides, Campfires, Bonfires, Volleyball, Horseshoes, Kereoke with 4 Mics. Fishing, Swimming, Backwords Golf Cart Races, and more. Our Slogan: “This Is Where The Fun Is”, so come stay, play, get away. Become a Giant Kid in an adult body and get ready to have an absolute blast! Dream Catcher Point Resort is a 5-Star rated resort and retreat located along the shores of Oklahoma’s beautiful Grand Lake O’ the Cherokee. This is the perfect setting for Weddings, Receptions, Family Reunions, Company Meetings, Corporate Retreats, Private Parties or a Romantic Weekend Get-away and all special occasions. 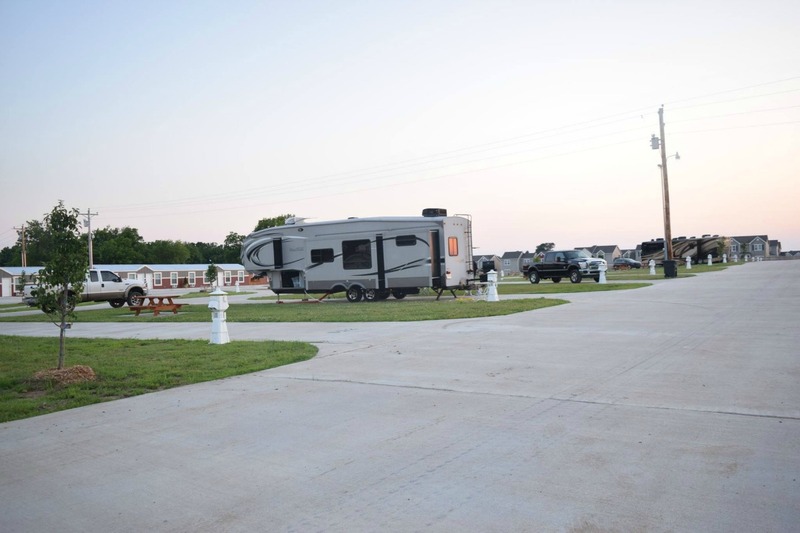 Monkey Island RV Resort is the newest luxury RV park on Monkey Island, Oklahoma – smack dab in the middle of Grand Lake O’ The Cherokees and all of the action on Monkey Island. Enjoy 100% concrete roads and pads with all pads wired with 30 and 50 amp electrical service, water and sewer hookups. Our clubhouse features a laundry room with 3 washers and dryers as well as a folding table and we have clean, private indoor showers. The cozy cabins rooms all include a queen bed, sleeper sofa, big screen TV with cable, kitchen area and a private bath with shower. Visit our website or give us a call today to make your reservations for your Grand Lake getaway now! If that didn’t help you, then below the places to stay around Grand Lake have been sorted based on the type of property – from resorts to campgrounds. If you are looking for summer fun or lake focused relaxation, then your best bet is a lakefront resort. 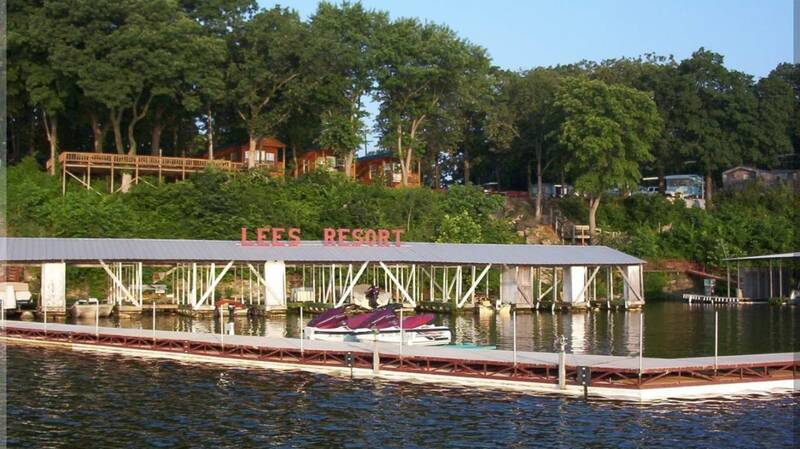 Many of the lakefront resorts around Grand Lake include lake access, swimming docks, swimming pools and even boat and watercraft rentals. Make sure you ask specifically what the resort your considering offers before booking your stay. The Grove area has the largest concentration of hotels and motels in the area, which is a natural since most of the larger fishing tournaments that come to Grand Lake launch out of the World-class Wolf Creek Park facility. Many weekends through the spring it will be very difficult to get a hotel room in Grove because of the fishing tournaments. The hotels in the area are a great option when you are just here for an overnight stay or have things that you are here to do. Grand Lake has a bunch of resorts that offer campgrounds, cabins and RV hook-ups. Find Grand Lake RV Resorts HERE and then find Grand Lake area Campgrounds and Cabin Resorts HERE. Some are better maintained than others, so check for reviews before booking your stay. Also, the campgrounds can be found from one end of the lake to the other, so make sure you end up near where you want to be. 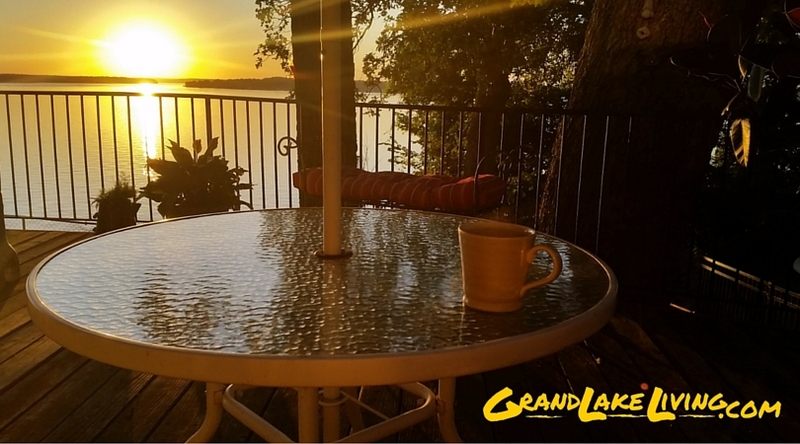 The number of vacation rentals offered by owner has grown tremendously over the past few years at Grand Lake. Which means you can find that perfect place for your Grand Lake trip whether you are looking for a romantic weekend of a big family outing. A quick word about VRBO. VRBO has moved to a business model where not only do they make money from the property owner, but they also charge YOU, the renter, a percentage at checkout when you book through VRBO.com. For that reason, many property owners are moving away from VRBO with the expectation that you book directly with them (the property owner) for your stay. So, yes you can check out Vacation Rental By Owner and other similar websites for a complete list of Grand Lake vacation rental properties, but if you find one you like and want to book – look in to contacting that property owner directly and saving yourself some money. They say that on the holiday weekends (Memorial Day, July 4th holiday and Labor Day) that Grand Lake becomes the 3rd largest city in Oklahoma. I don’t know who made up that stat, but enough people have repeated it over the years that it must be true. So, if you are planning a trip to Grand Lake on a busy summer weekend – especially anything around the July 4th holiday – you better plan early. Your options may get limited really fast with thousands of your closest friends already having booked their place to stay at Grand Lake. With such a wide variety of lodging options, you are sure to find the overnight accommodations that satisfy you and meet your relaxing and or playful expectations at Grand Lake.